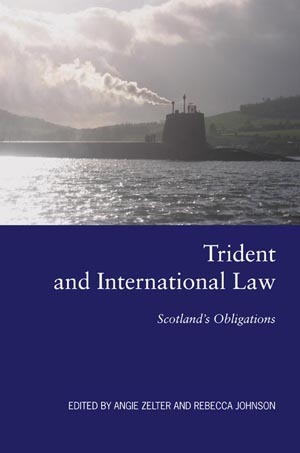 Developed out of the proceedings of the Edinburgh Conference on Trident and International Law held on 3 February 2009 the book looks at the relationship between nuclear weapons and Scottish and international law and demonstrates where the Lord Advocates Reference No. 1 of 2000 (LAR) went wrong. 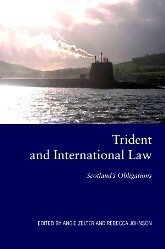 With opening remarks from Angus Robertson MP and Roseanna Cunningham MSP, the book contains essays from ICJ President Mohammed Bedjaoui and Judge Weeramantry, as well as noted legal scholars and practitioners Aidan O’Neill QC, Philippe Sands QC, Nick Grief QC, Rabinder Singh QC, Professor Christine Chinkin (LSE, International Law), Dr John Burroughs (Rutgers Law School, USA) and Helen Law (Matrix Chambers). 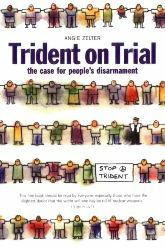 This book is not only a handbook for lawyers and politicians in Scotland and beyond, but also for citizens who seek to better understand the exact nature of their obligation to prevent the grave crimes currently being perpetrated by the government.